A hard review of the equipment and possessions in our homes and places of business easily confirms the human predilection towards accumulating “stuff” and clutter. Floor space is usually finite, and it is imperative that to maximise our storage areas we employ more efficient, more creative and safer methods of stacking and storing things. Here are a few tips you might consider using when next safely stacking items in your warehouse,home, garage or office. Consider stacking your heaviest items at the bottom of a pallet stack to provide an appropriate centre of gravity and avoid unnecessary crushing and damage of fragile items and the stack subsequently falling over. Stick to the rules and follow the height limits and specifications for stacks. There is a reason why those restrictions are in place, and they do deserve our attention. Workplace injuries to arms, legs and joints can result from inappropriate lifting of pallet stacks. Taking time to observe the correct posture advice and safety procedures, such as ensuring that all heavy items should only be stacked to a height between the knee and shoulders, will prevent accidents from occurring. For more detailed study on the best practice for lifting stacking equipment, visit the Health and Safety Executive (HSE)’s comprehensive health and safety manual: http://www.hse.gov.uk/toolbox/manual.htm. 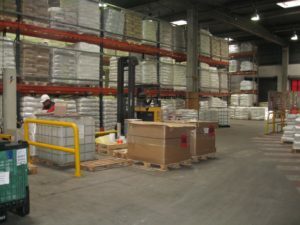 While it may seem fairly easy to stack certain pallets, dismantling and unloading efficiently does require sufficient space between the stacks for easy navigation and movement. Insects and rodents (rats and mice) easily find a cosy and inviting home against tightly stacked pallets. Consider providing space between stacked pallets to prevent this from happening. Stacking items correctly is only possible with the appropriate shelving and storage containers to stack. 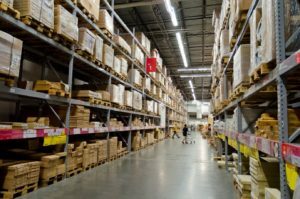 Consider talking to a supplier such as http://www.rackzone.ie/ to find out more about residential and Industrial Shelving in Ireland and the countless stacking options available that allow for safe and speedy assemblage. The key to success regarding sensible stacking is to keep an open, flexible and playful mind that is willing to experiment and try new permutations to putting things together. It is truly a science in its own right.